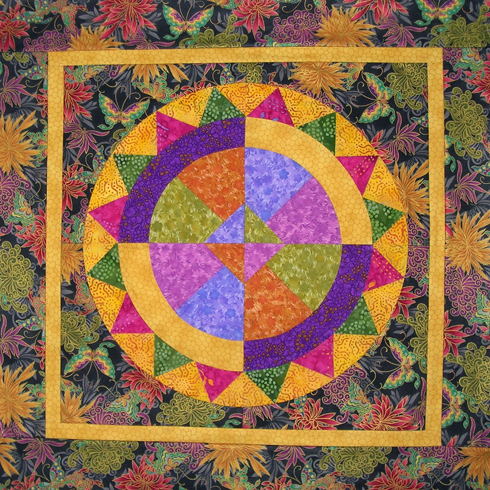 As promised a few weeks ago, I am offering a free pattern which I call Ezekiel's Wheel, using fabrics by Windham Fabrics. First, let me show you the two quilts that inspired me to make this third one. 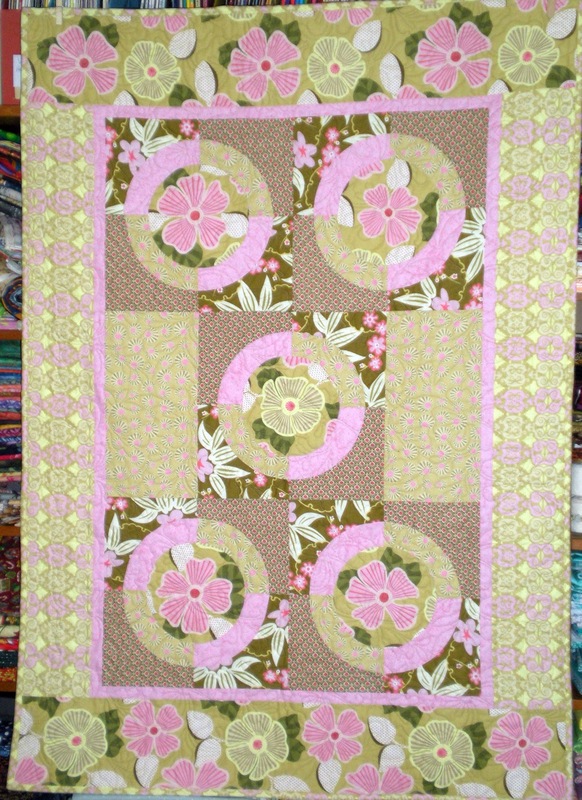 I used the same pattern but resized it to a 6" unit for a 12" block. 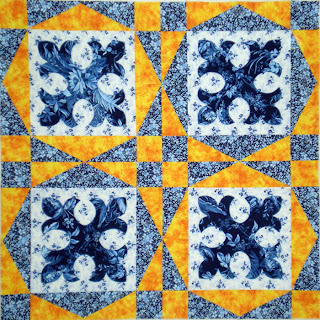 It appears in the Quiltmaker's 100 Best Blocks and they asked if I wanted to make a quilt using the block; I did, they changed their mind. Poor little quilt. She whimpers in the hallway, wanting to be noticed. I told her I would "publish" her here. What do you think? 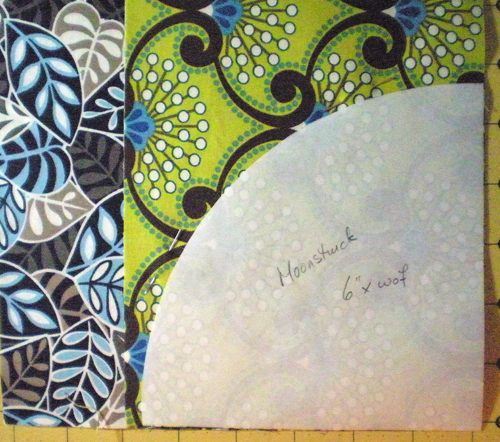 Now, to Ezekiel's Wheel with Moonstruck Fabrics! You can get the 7 page pdf which includes full-size templates at the bottom of this post. While I was making the quilt (and testing every single cut and patch and template), I took pictures of each step and I include this tutorial to help you see the ease of construction. Don't be afraid of curves. 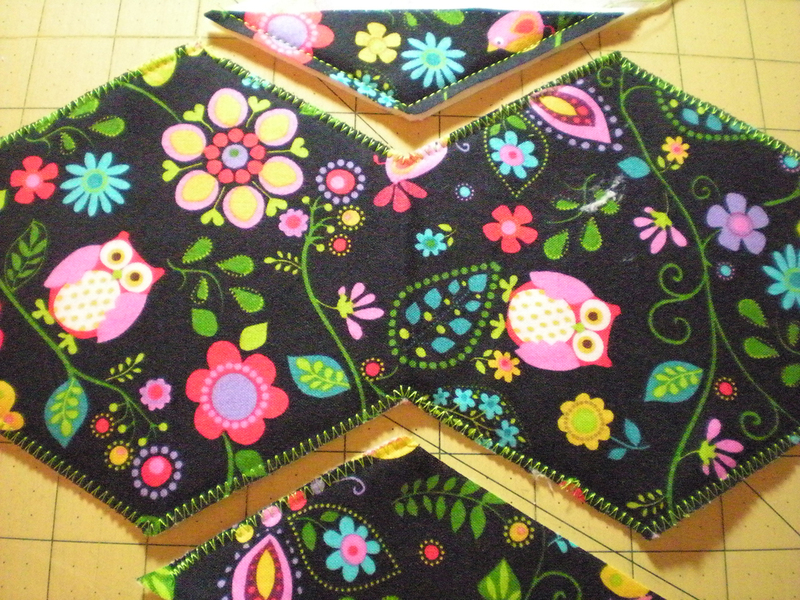 These blocks finish to 9" and the secret is in how you pin the STRAIGHT edges when you sew the convex curve to the concave curve pieces. 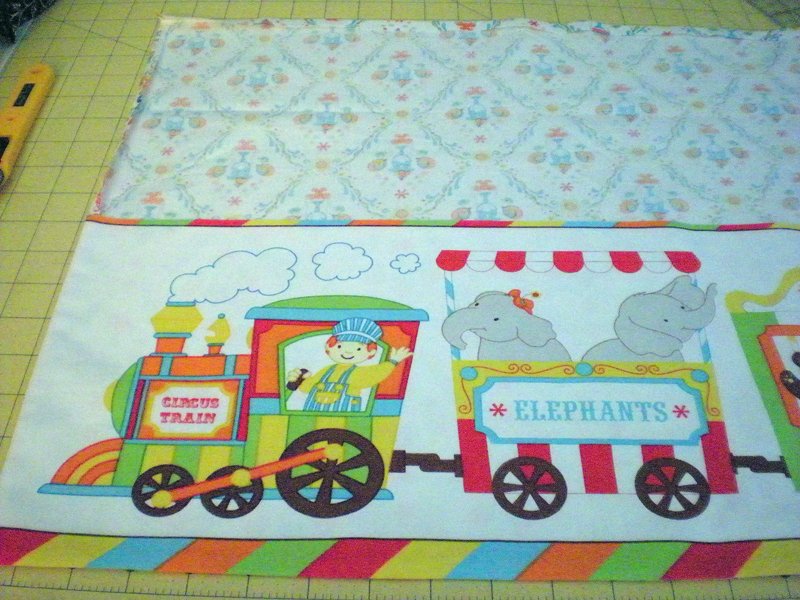 Transfer template pattern to freezer paper. Use to cut out 16 background pieces. Transfer template pattern for 1/4 circle and cut 8 each of the two fabrics. I forgot to take pics of cutting the partial donut shapes, but it is clearly illustrated in the pattern. I draw all my own art in Adobe Illustrator and you will find good pics there! 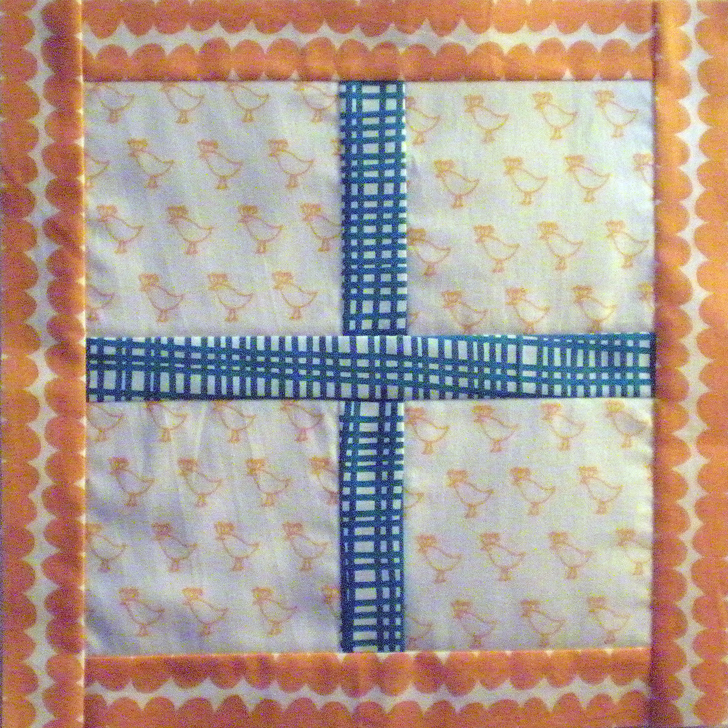 Pin as shown, matching the centers and the sides. This is the MOST IMPORTANT part of the pinning process. 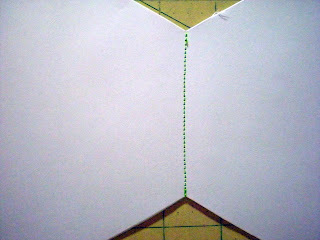 Notice that each straight side of the joined patches uses two pins. 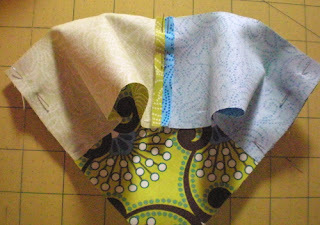 When the sides remain unmovable, after the curved seam is sewn, the sides of the unit are straight, straight, straight! 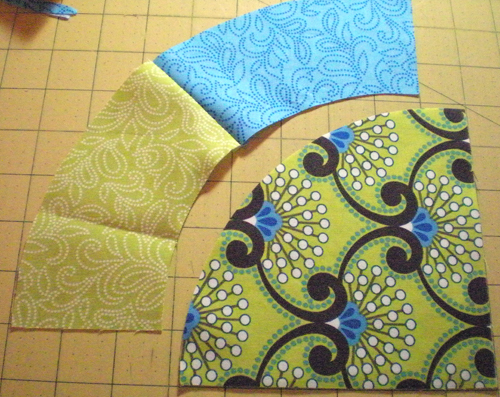 See how STRAIGHT the sides are after that first curved seam is sewn? 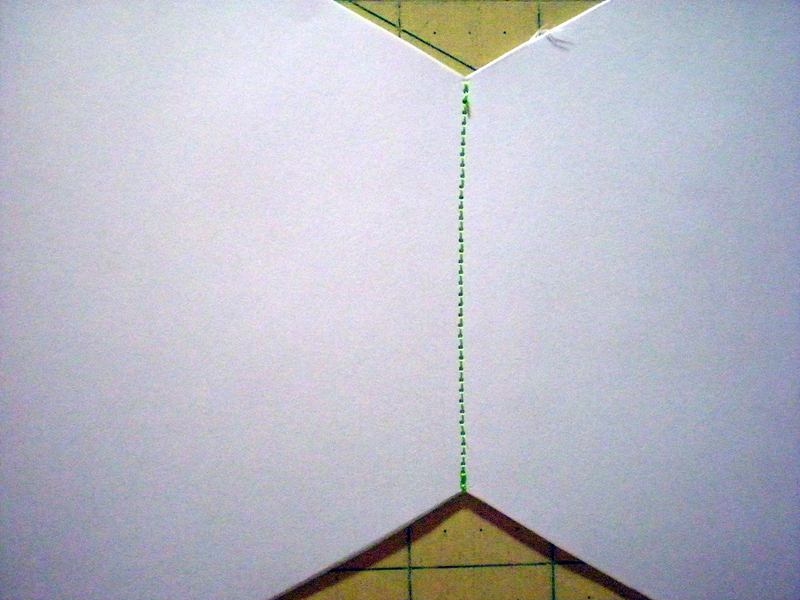 Sewing the background piece, keep those sides STRAIGHT using two pins on each side. 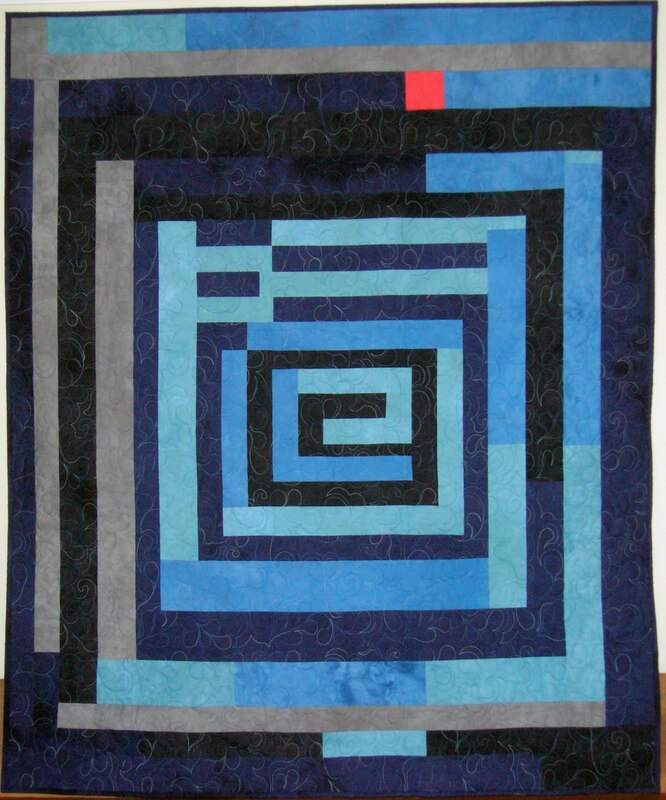 And here's the quilt in blue. 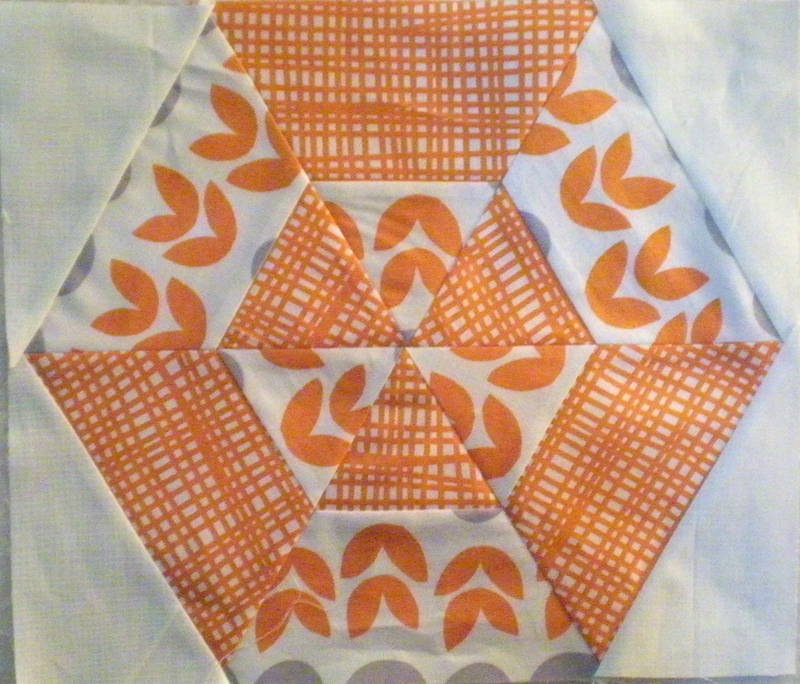 The pattern also shows the brown colorway. 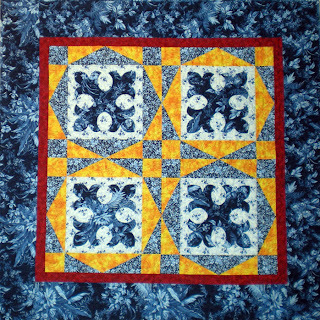 Ezekiel's Wheel Quilt - 62" x 62"
Free pattern: Ezekiel's Wheel using the Moonstruck Fabrics by Whistler Studios for Windham Fabrics. Let me know how you like this. Enjoy! More fun today with children's fabrics, designed by Kimberly Bourne for . . . 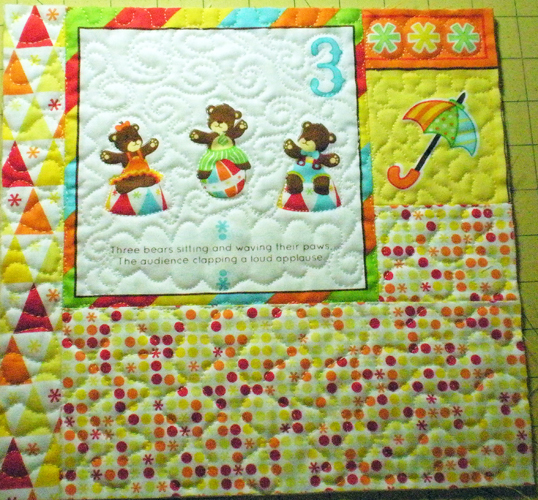 This fun ensemble has several colorways and a variety of fun prints - dots, triangles, printed words and of course, animals. I cut apart the Counting Panel and added a variety of small motifs from another panel and tried to add them as they relate to the number on the panel. I was only able to finish 5 of them and will not bind them but zigzag around the outside edges. 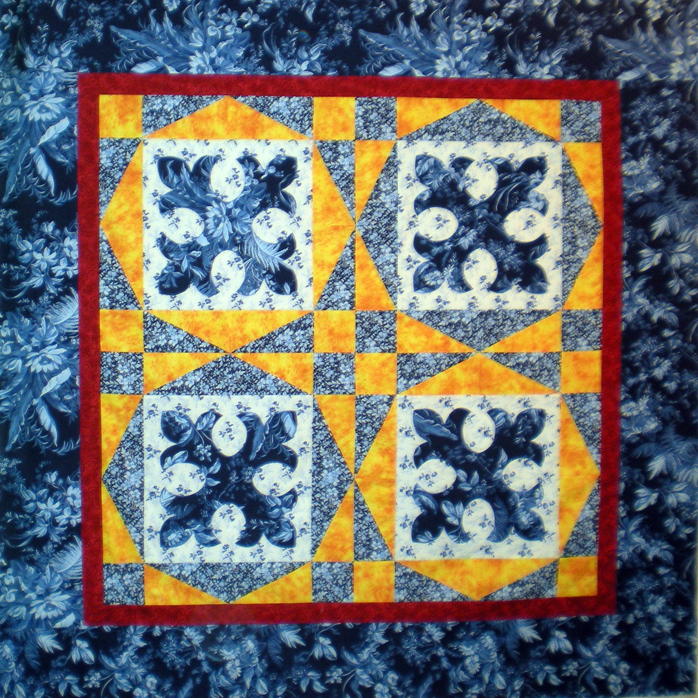 I free motion quilted these on my Pfaff 2144 with Fairfield Fusi-Boo (fusible batting which is a delight to work with). 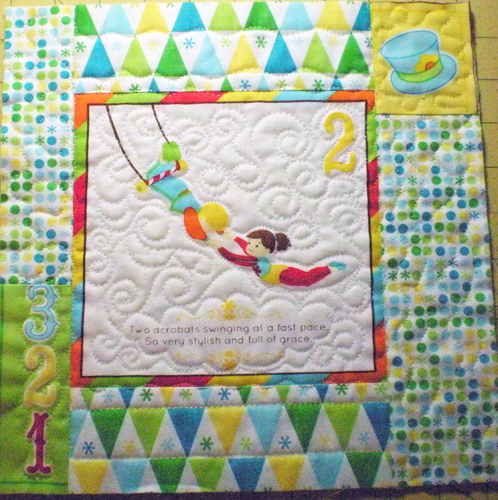 I wanted to line the panel but all the coordinating prints showed through the white part. 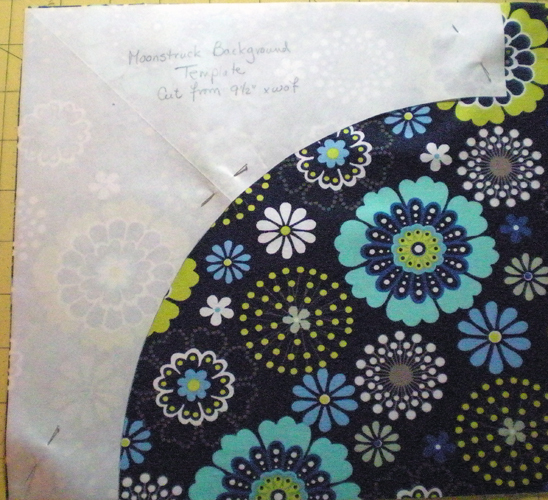 I used fusible interfacing on the panel back which solved my problem. It also gave it a very nice body. Then I used 1/2 yard of the ice cream print, stitched around 3 sides and turned it right side out. Pressed well. Stitched the bottom along the stripe to keep backing in the back! Here is lining as it is sewn. I folded the remainder of the backing fabric around to the front, covered the raw edge of the top of the panel, stitched. 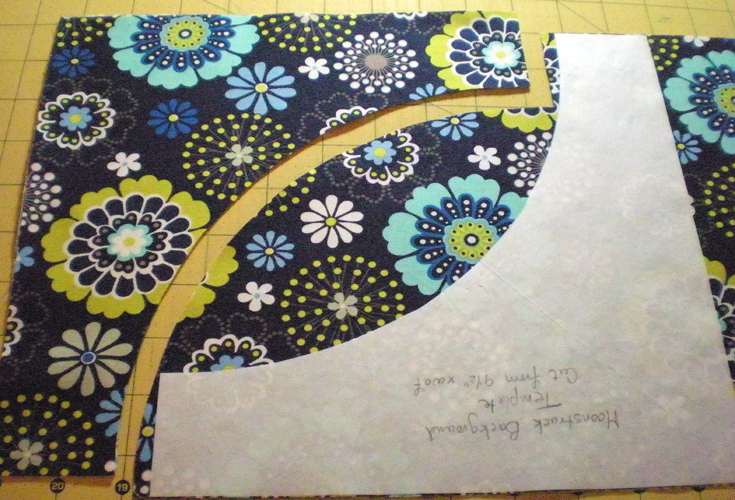 And then stitched 1-1/2" from that stitching line for my rod pocket. Isn't this the cutest panel for any child's room? No, I haven't lost track of time. Christmas is still 4 months away! I am introducing some fantastic juvenile prints today with Miles my grandson in mind. Miles is close to 2 years old now, with his little brother due to be born at the end of October. 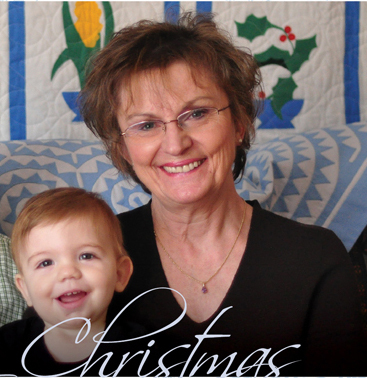 Then he can't be my favorite grandson, just the one I've loved longer! (Yes, that is the famous Memory Bouquet quilt in the background). What do I have today? Well, it's Monday and I like to feature my fabric partner, Blank Fabrics, on these days. (A little housekeeping here: they don't PAY me for featuring their fabrics. 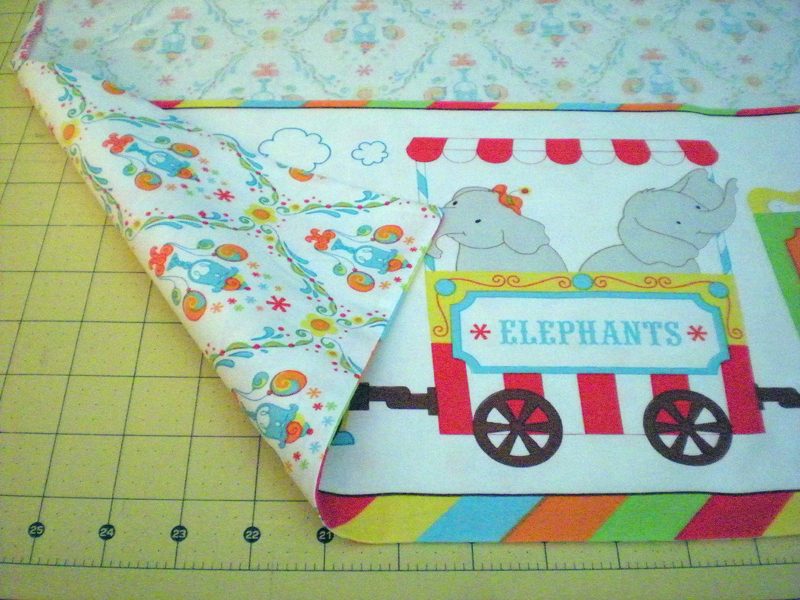 I get some cuts of upcoming fabric lines and I sew whatever I want with them. They like it; I like it.) I have designed and sewn for them for over 6 years (as a result of being an editor with Quilt Magazine for 14 years). This collection is called Hooray! and has little owls all over. 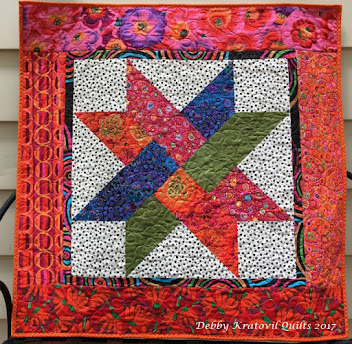 No quilts today - just 3 fun - and quick - projects to please anyone. I took a pillowcase out of my linen closet, cut off the 4" band/hem and then used two contrasting fabrics to made a custom pillowcase. 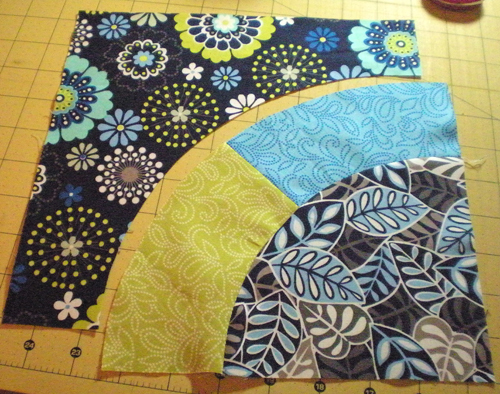 The blue is cut 3" wide x the width of pillowcase (about 40"). 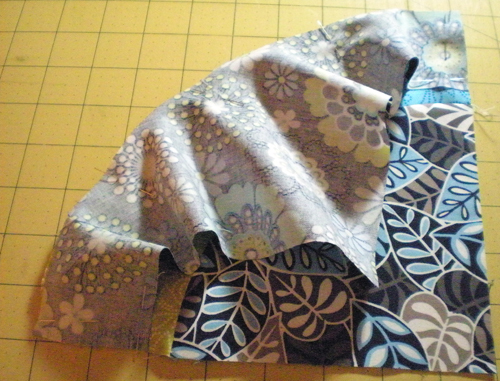 Fold wrong sides together and machine baste in place along newly cut pillowcase edge. Then I cut 10" x 40" of the owl and birdie fabric and stitched it on. There are oodles of places on the internet to get a pillowcase pattern, so I am not writing one here. But, it's just a matter of sewing one long side to the blue edge, folding and then bringing the end around to the front and stitching in place. The little blankie began as a cheesecloth dishtowel that measured 30" x 40". It was really, really crooked and I squared it up. 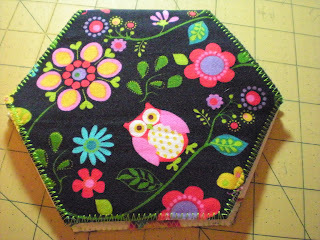 I cut three strips 3" x wof of the black owl fabric, sewed into a long row attached it like binding on a quilt. ONLY, I never sew from the front to the back. I sew from the back to the front and because the strips are wide, it makes it look like there is a border, but it's just wide binding. 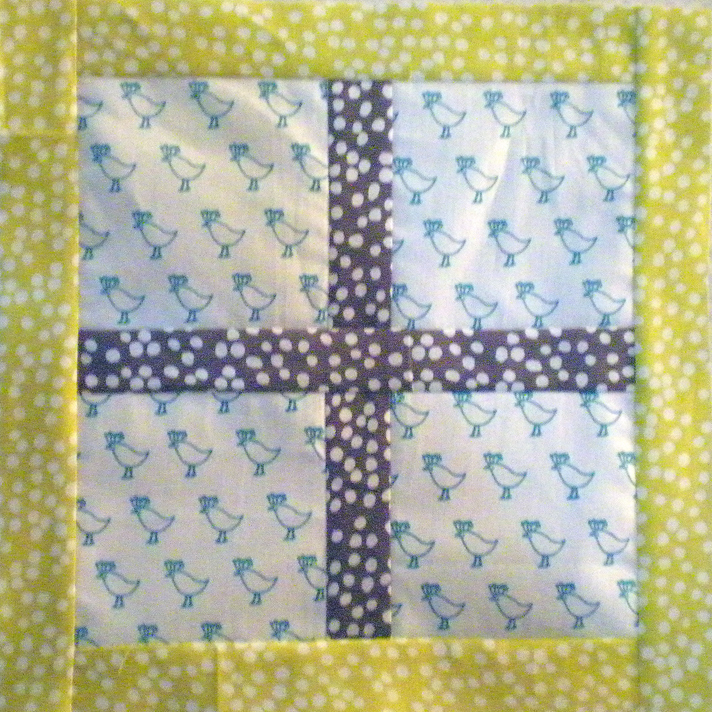 I stitched it down with a serpentine stitch in lime green, from the front. Easy, quick, colorful. 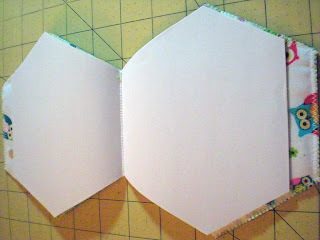 Now for the kid's hexagon play book. 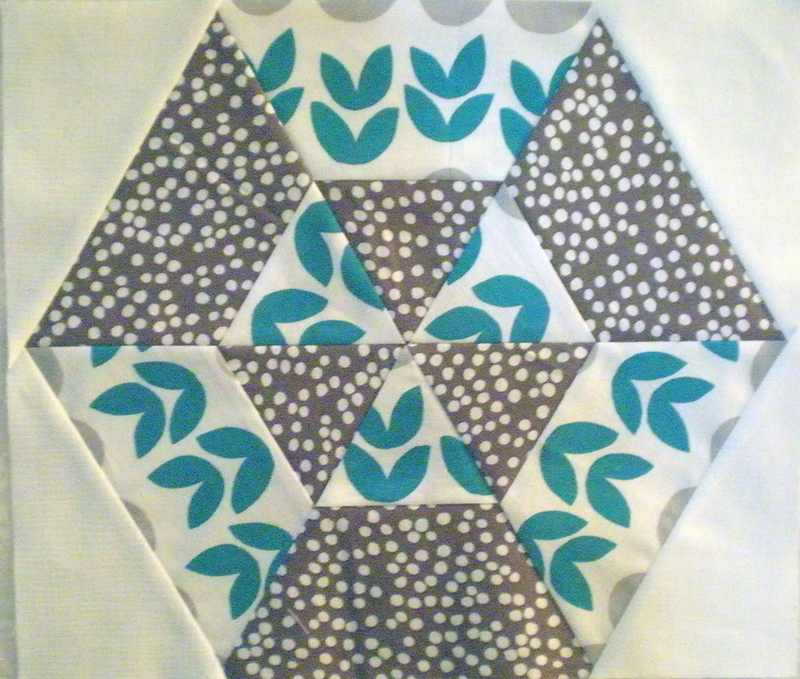 THE FREE PATTERN FOLLOWS BELOW, including templates! Don't go away yet!! 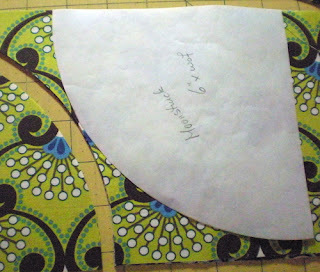 Trace pattern (provided below) onto freezer paper and cut out for your template. 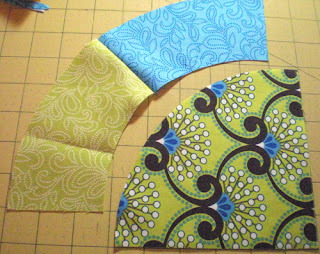 Cut two contrasting fabrics 6-1/2" x 10-1/2" and a piece of thin batting. 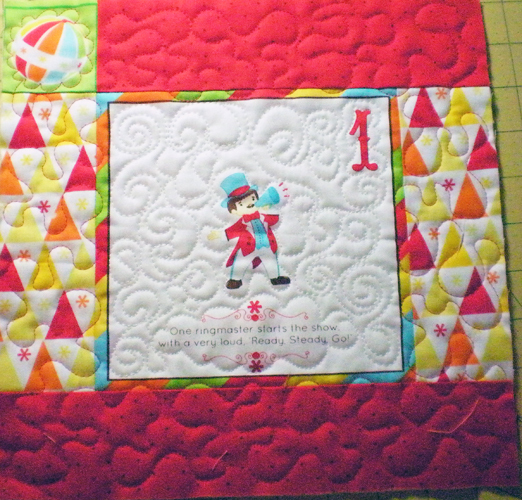 I used Fairfield Fusi-boo (wonderful fusible batting - I love it!). 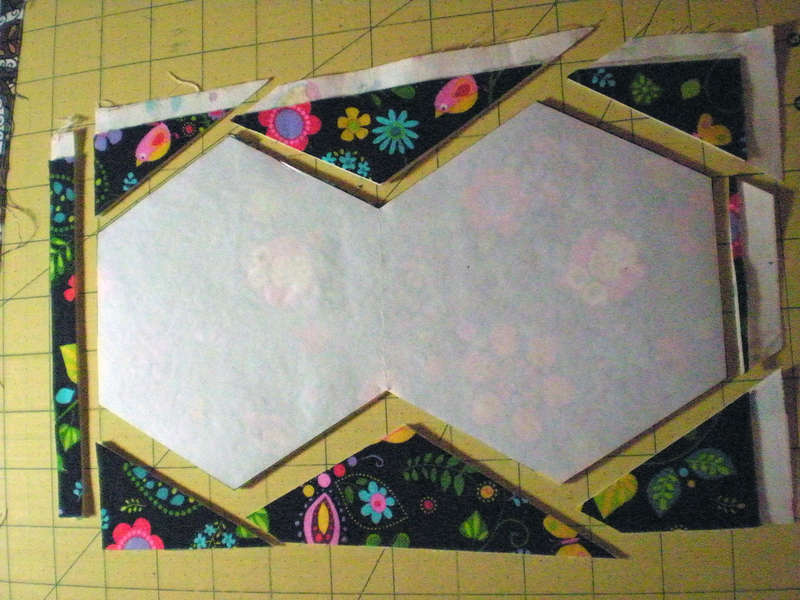 I fused the three pieces together and then used the template to cut them out. 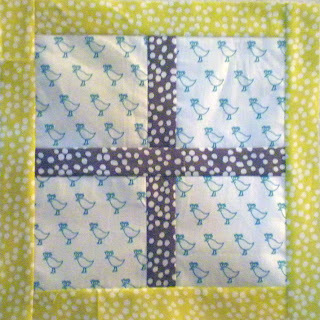 After I tried a few stitches and got the length and width right, I did a blanket stitch around all raw edges using a lime green thread. I auditioned my stitches using the scraps. This way I will know how the fabric and thread will behave. No surprises here! 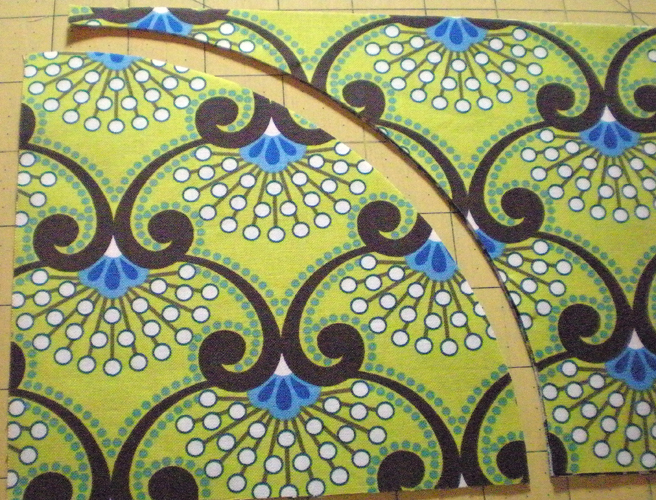 Using the same template as for the fabrics, I cut out a stack of 10 sheets of 6" x 9" paper. 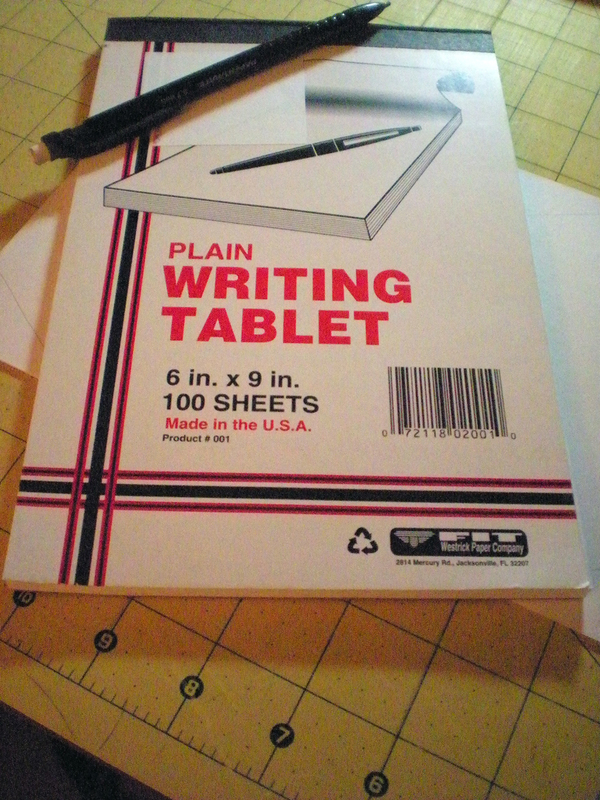 You can use 8-1/2" x 11" if you prefer. I stitched down the center. Now it's time to put it inside the book! Stitched right through all layers. Yes, the paper doesn't come all the way to the bottom. So what? 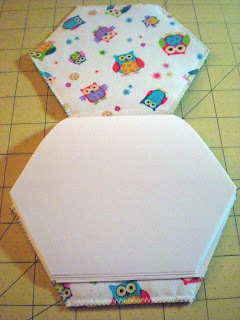 Little Hootie Hexagon play book! Would you like the pattern? I thought so! You are welcome to share it with your friends, but you must leave my name on it. We don't want any angry owls, now do we? Free Hexagon Kid's Busy Book - this is a small sized pdf. Enjoy! She needs a chimney and door knob, coming soon! 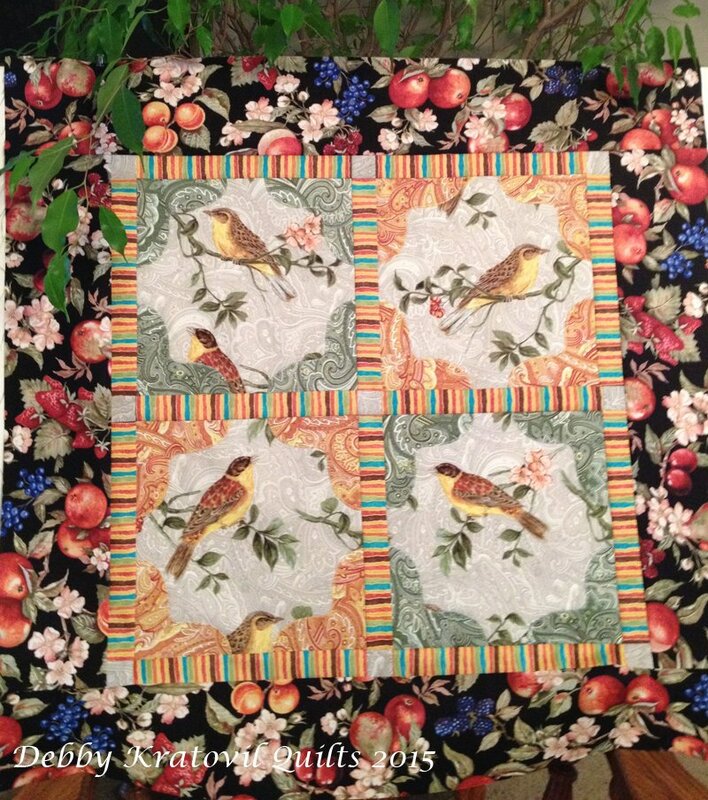 One of my generous fabric partners is Windham Fabrics. 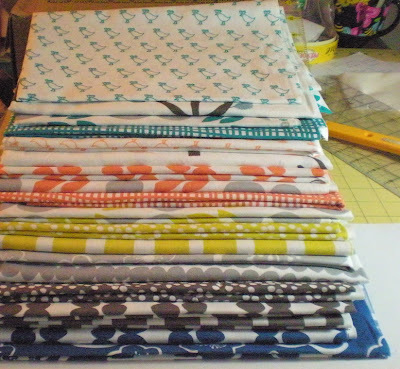 I have been sewing for them since 2006 and I've never met a fabric I didn't like! This new Bella Collection (in stores NOW, as in August 2012) is very exciting with clean open spaces, clear colors and nature motifs: tiny birds, flowers and trees. They were designed by Lotta Jansdotter. I showed this pile of 1/2 yard cuts to my daughter Audrey (32 years old) and I wasn't surprised at her enthusiastic response: "Mom! I want these. I want to make curtains for my kitchen and some other things for my new apartment." I told her my plan for building a house with them and that's how Bella's House came to be. Don't you just love the trees and flowers?!! I began by cutting windows and doors. But the two sets of windows I first had were TOO big and I had to start from scratch. I am not a planner who meticulously writes up numbers and sizes before I begin to sew. I just start cutting and write my patterns later. This is a true improvisational quilt, but most of the strips and units are normal cutting sizes. (I have no intention of patterning this one-of-a-kind quilt; she's just for viewing and eventually will be quilted and gifted to someone who likes a lot of color.) Visit Windham's Facebook page and tell them you like this collection. 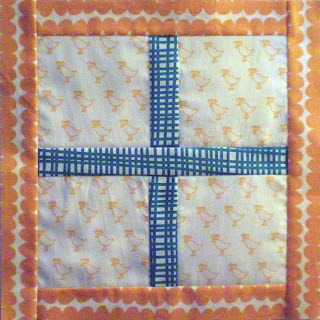 So, here are the original Birdie Window blocks that I made way too large for Bella's House. What to do with them? Well, they are part of my new series, Turning 60. What's that? you ask. Well, I was born in 1952, so do the math. 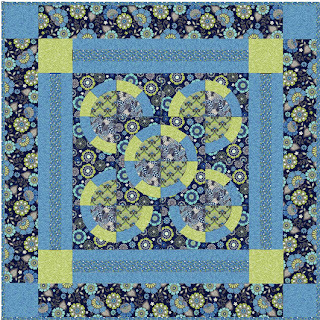 This is a year of playing with the 60 degree angle in quilts to celebrate "still being vertical and on the ride side of the grass!" I have discovered that is my absolute favorite shape and have done a lot of teaching this past year using that: Half-Hexagons, Spiderwebs, and others. 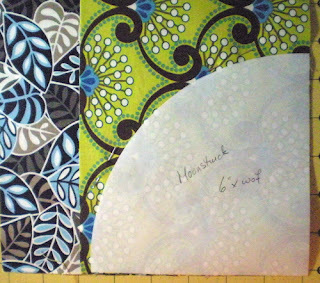 Here are two of my Turning 60 blocks made with my Turning 60 acrylic, multi-size ruler. You can get the same results with any 60 degree ruler. 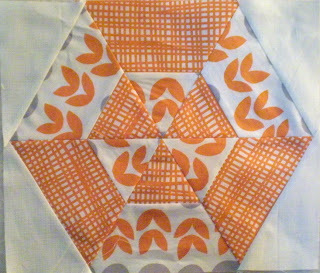 Next week I will reveal an 8 block table runner made with four Turning 60 blocks and four Bird Window blocks. 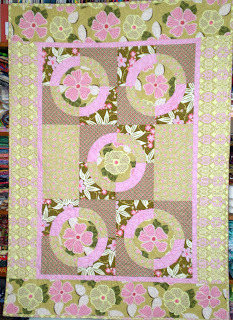 Turning 60 Block (Traditional Spiderweb) - 11"
Antique Yo Yo Quilt - 48" x 65"
My friend and former editor, Jean Ann Wright (Eitel, in the olden days) gave me this antique yo yo quilt about 15 years ago after it had been gifted to her from a reader. (Can you believe someone parted with this?) All these authentic 1930s prints are phenomenal! My oldest daughter Audrey fell in love with it and begged for it and so it sat in a cotton pillowcase for years. Every so often she would pull it out and say, "Mom. I really need to get this framed." My opinion was that it would cost SO MUCH, and so it went back into the pillowcase. 2. Made a trip to Home Depot and bought a piece of foam core (the type used in insulating), and had the guy who helped us cut it so we could get it into the back of my husband's jeep. 11. Got into her apartment and we placed it on the headboard in her bedroom. OK. Hate me if you must for desecrating an antique. But she wanted to ENJOY it and she will - every single day. The quilt was made to be enjoyed. Yes, it has parts that are shredding, but I honestly thought I heard a whispered, "Thank you!" 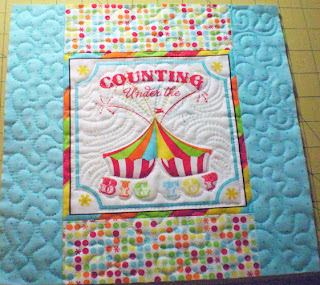 from the quilt. It was tired of living in a dark pillowcase. 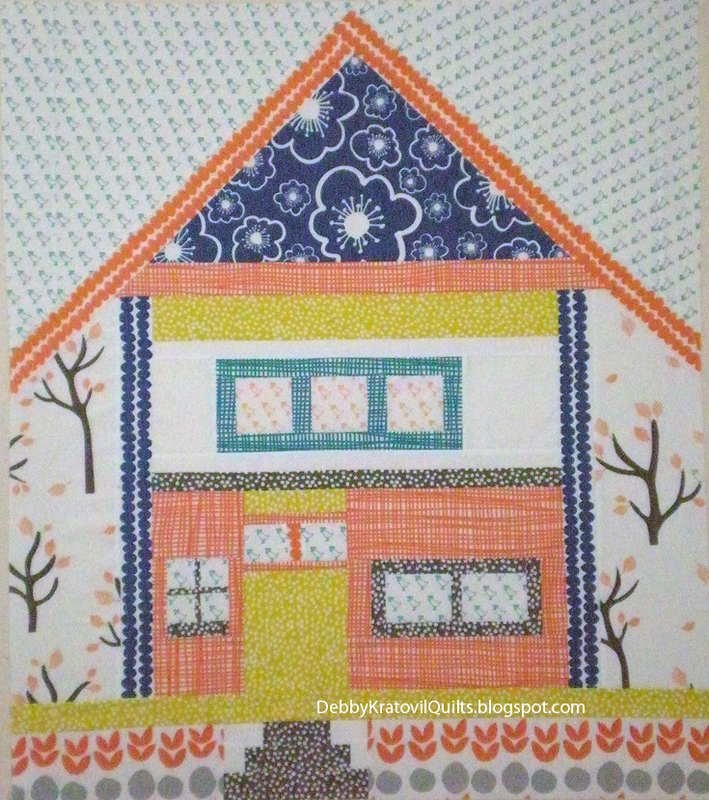 How would you like to live your life in a pillowcase? Didn't think so. 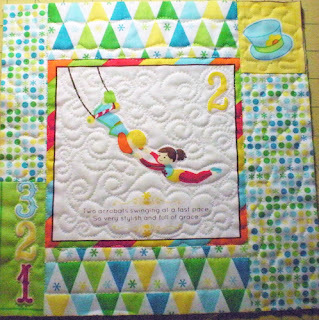 And I bet this will give a lot of quilters permission to do the same thing with their yo yo quilts! 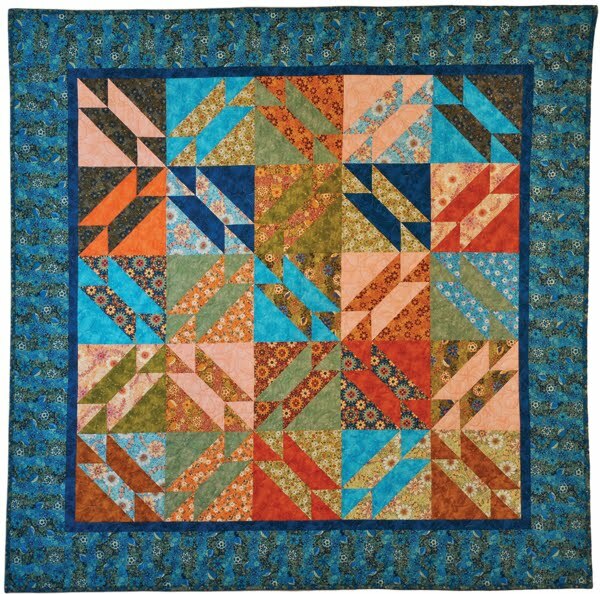 Quilters - We Have a Winner! The winner of my fat quarter giveaway (7 luscious fabrics from the Addison Collection by Windham Fabrics) has been notified, but I don't know her name yet. I will announce it asap, when she responds. 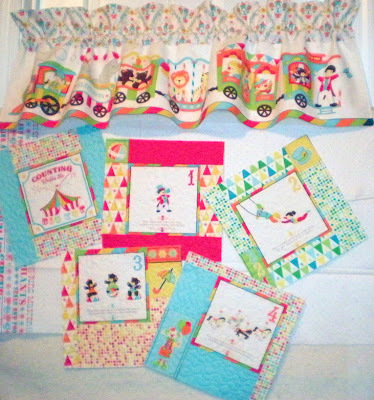 The fabrics are singing and dancing out in the hallway, awaiting a new home so they can be used. Now, on to the pattern for that gorgeous Savoy Quilt I featured last week Monday. 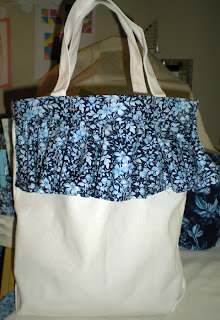 I call it The French Connection and you can have the free pattern (as a downloadable pdf) right here. 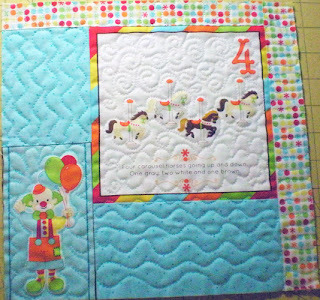 You will enjoy making this because the pieces are easy and there are only 4 blocks. 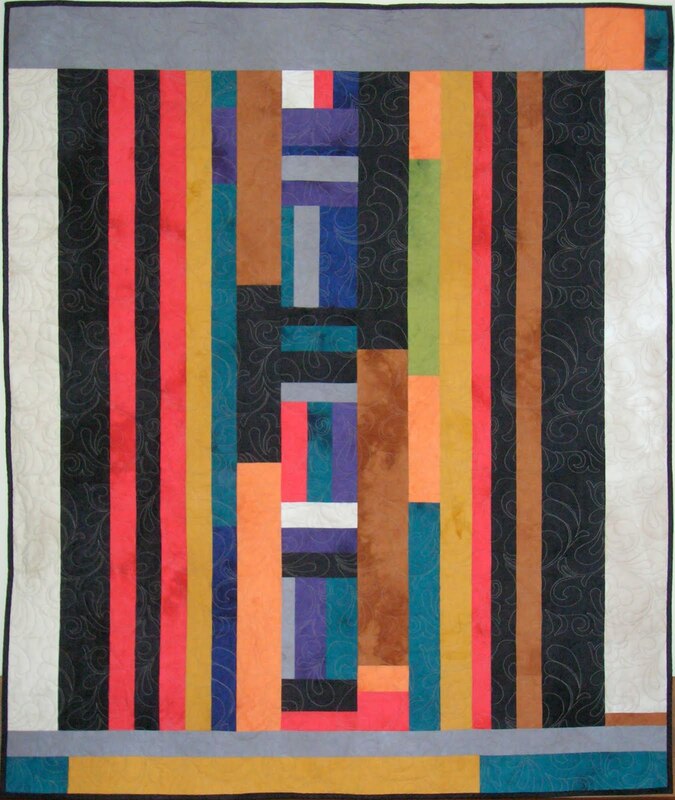 The French Connection is made using the Savoy Collection by Blank Quilting. 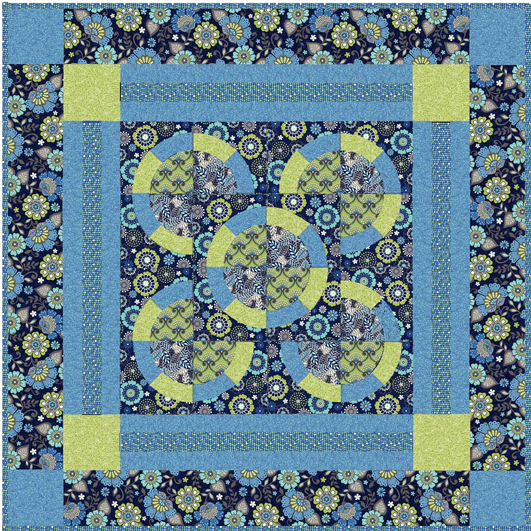 They are available now in quilt shops all over the USA and maybe some European countries. Thanks to all of you who made my Monday with Blank Fabrics a very popular blog post. I teach my Magical Mitering lesson all the time with many happy students! 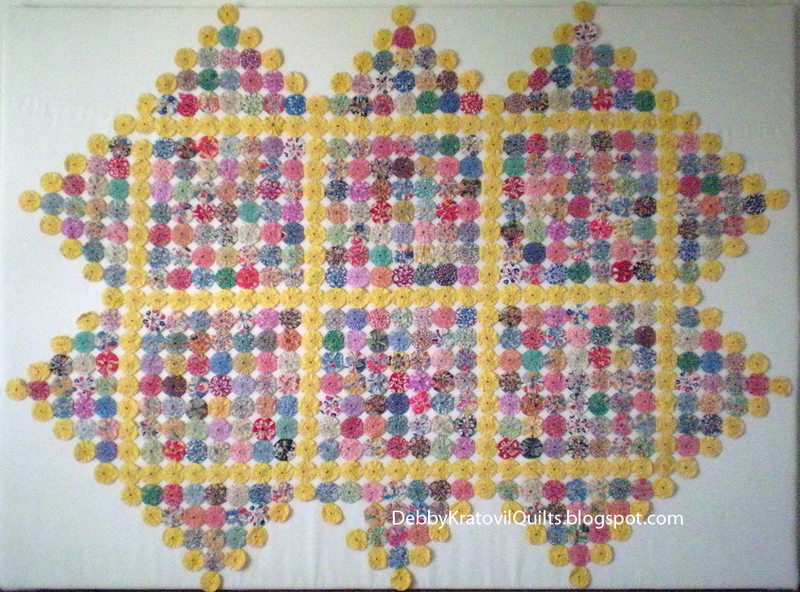 Today I share a 6 block quilt made with the Noblesse Collection in the cream colorway. The fabric does all the work. 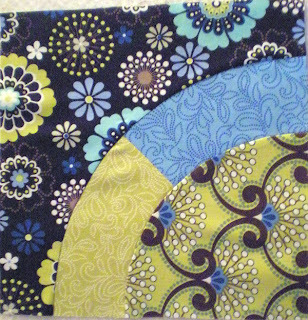 And I didn't bother to fussy cut the flowers; I just let my rotary cutter made that decision for me (and I also didn't have more than 1/2 yard!). How did I make this, you may be wondering? Well, I shared it all in last Monday's post and you can find it HERE. 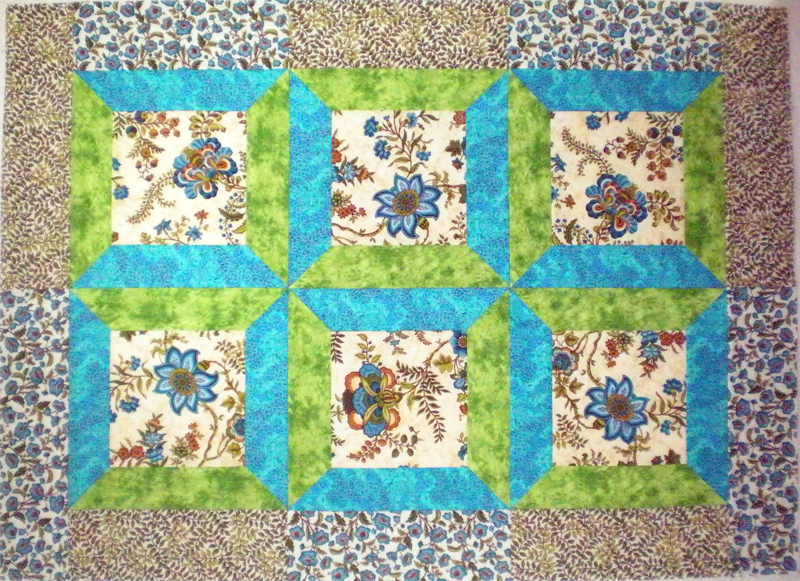 This version uses strips around all 4 sides of the center square, instead of only two sides for an Attic Window. This really has a graphic counterpoint to the curves of the flowers. 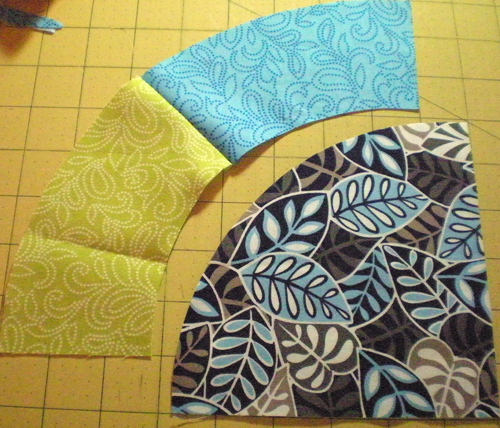 I only had 3 fabrics for each of the two colorways. I used the other two in the border; simple rectangles for a border. 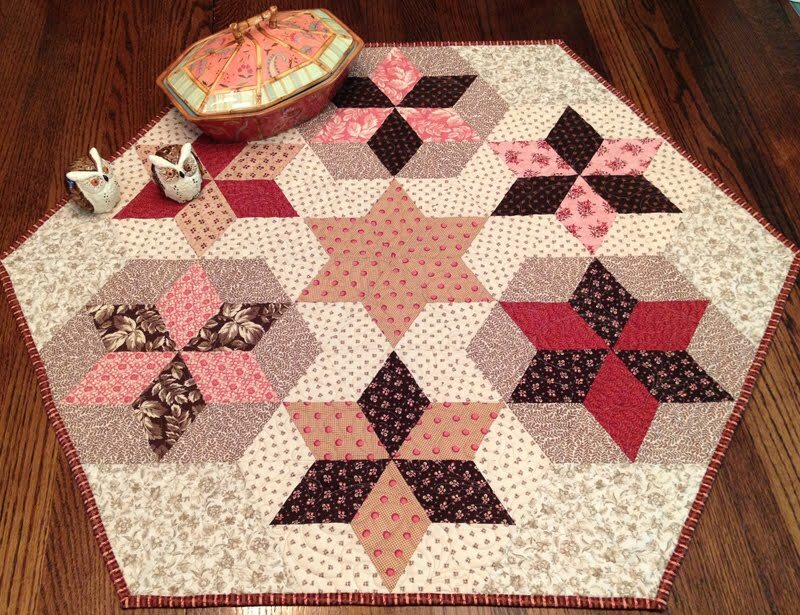 If you have read this far, then I want to let you know that on WEDNESDAY I am sharing another quilt with another fabric partner and I have A GIVEAWAY! 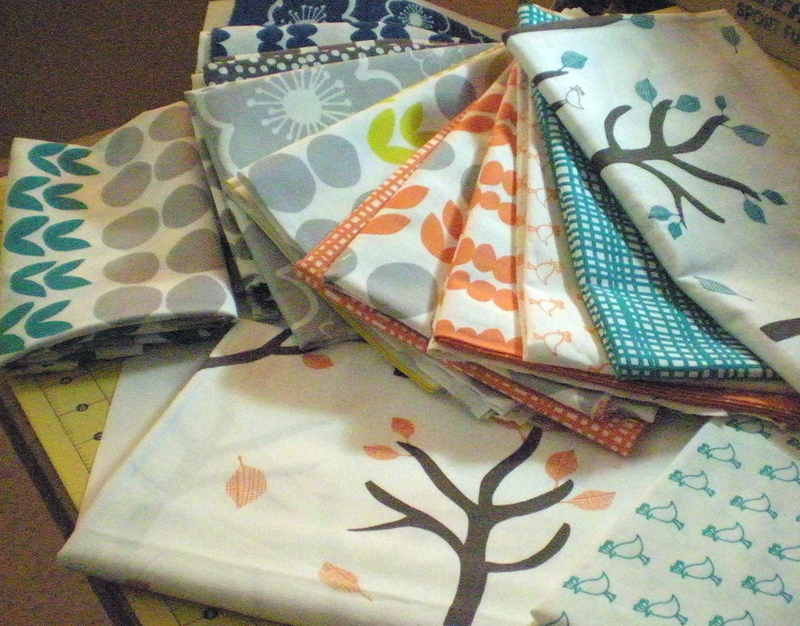 7 fat quarters of just released fabrics. So, make sure you come back to see what's happening. 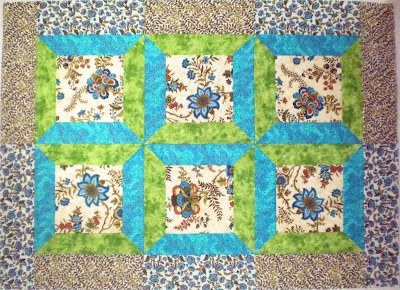 Next Monday I will share the pattern for this quilt using the Savoy Collection by Blank Fabrics. So, for now, just enjoy this wonderful eye candy! 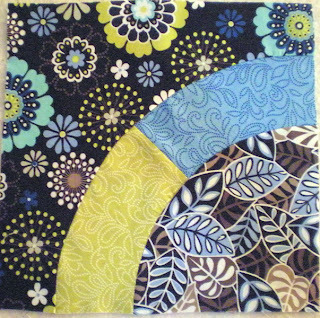 I was asked to sew for one of my fabric partners, Blank Quilting, using their brand new Savoy Collection. 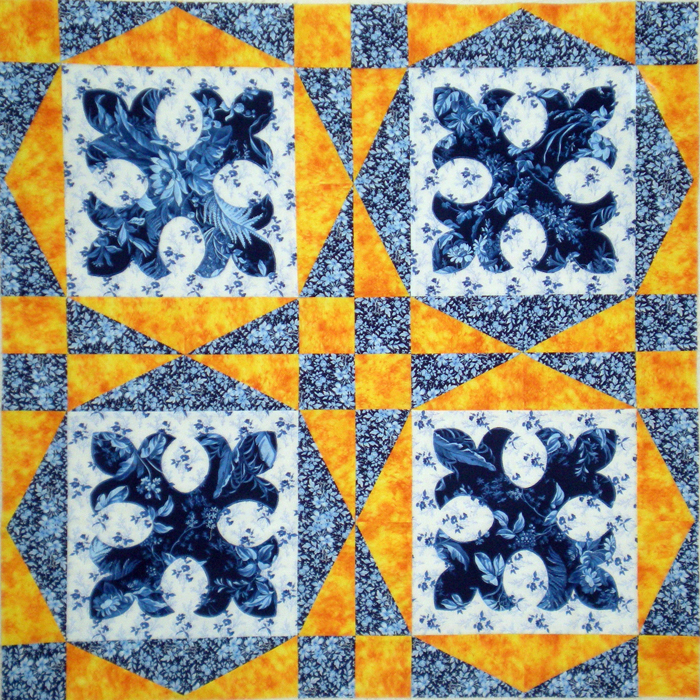 It has a distinct French connection and the timeless colors of yellow and blue. I love, love, love it! 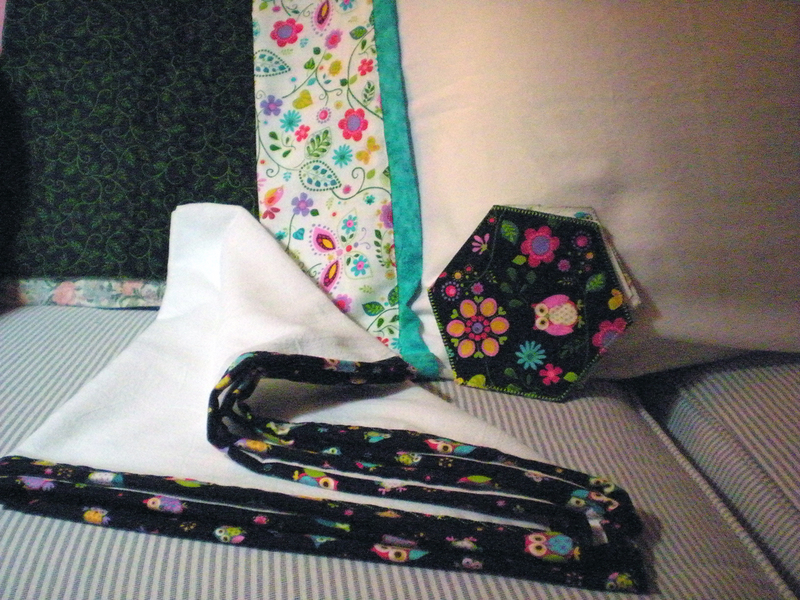 Diana Mancini (Marketing Director) had seen one of my fleur de lis patterns and asked if I could create a unique quilt with these floral prints. As you can see, I did. Here are some of the ensemble items I created for her to use at Spring Market 2012. 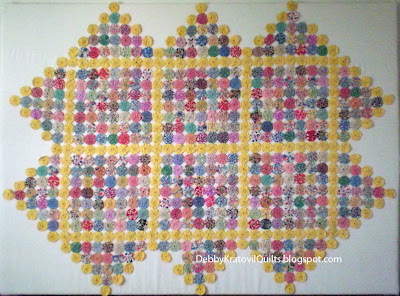 And then at the bottom of this blog posting, you will see the quilt with the final borders. 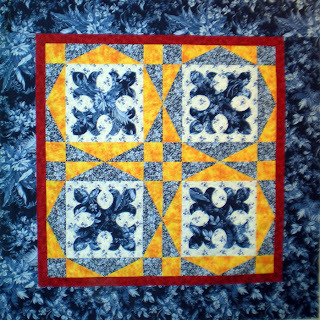 I have this pattern by Cindy and have used it many times. 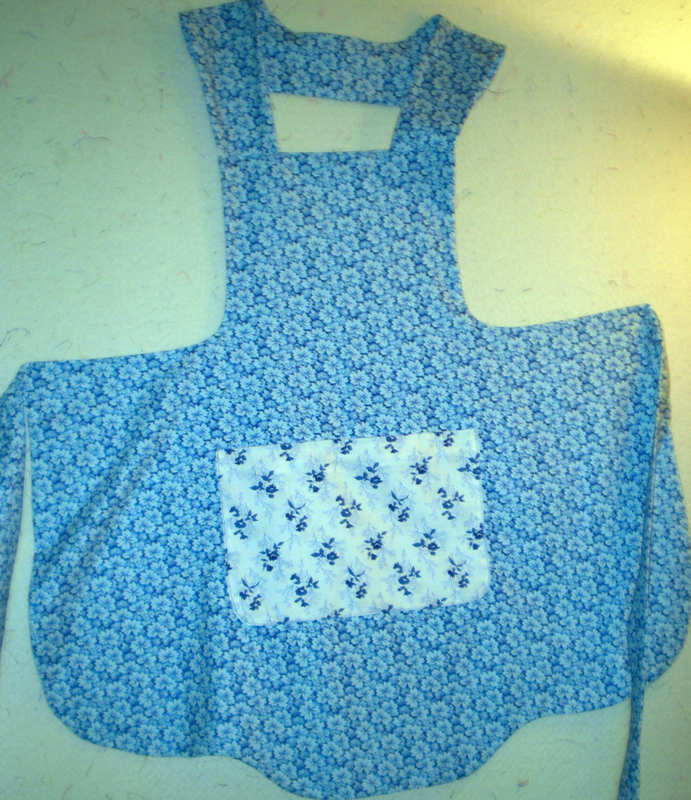 She has several versions of both a full and half apron. 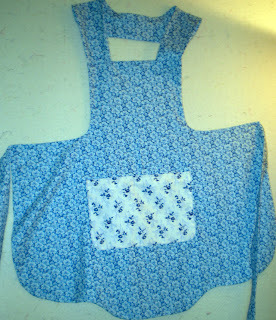 While I don't wear aprons, I should! Kitchey items, just because I could! Bought a basket at Michael's, discarded the fabric liner and made one with Savoy's blue/blue print. Made several quick tissue holders, covered a large circular button (using hot glue, natch), even covered an oatmeal box with fabric for a pencil holder. 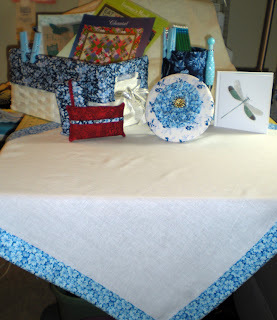 I used a cheesecloth dishtowel with a VERY wide binding and that is my tablecloth. 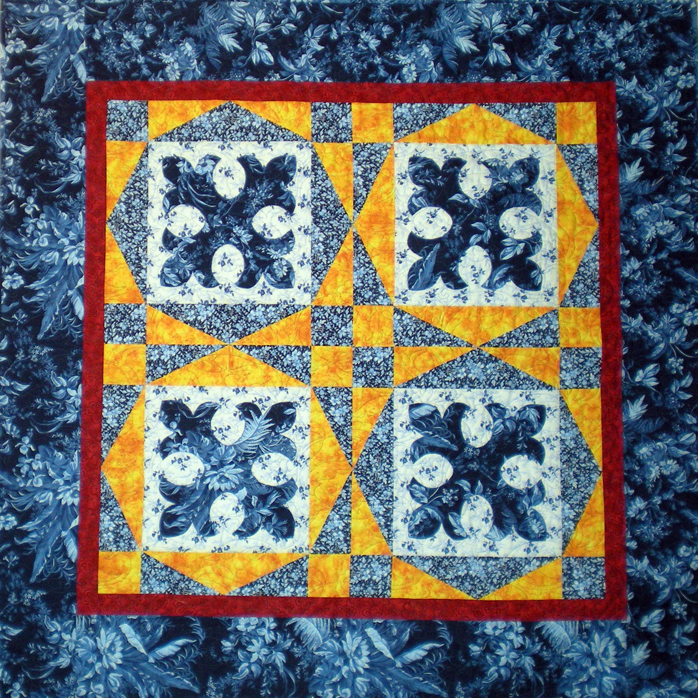 Savoy Quilt - 52" x 52", Block Size: 12"
Pittsburgh Expo - a WOW place!